The Russians are coming, again, in submarines to waters near New Zealand. The state-run Itar-Tass agency says Russia will send submarines armed with nuclear ballistic missiles to the South Pacific and the Southern Ocean. “The revival of nuclear-submarine patrols will allow us to fulfil the tasks of strategic deterrence not only across the North Pole but also the South Pole,” an unnamed official in the military General Staff was quoted as saying. Given that the South Pole is 1500 kilometres from the sea, it suggests the new Borei-class submarines, with 16 long-range nuclear missiles, might end up in the Ross Sea. “As the Russian Navy receive the Borei-class missile submarines, they will not only continue to patrol the Arctic, Atlantic and Pacific Oceans, but will resume execution of combat missions in those regions of the world’s ocean, where in the late 90s of the last century used to be the Soviet Navy, and where they have ceased to appear following the collapse of the Soviet Union,” the report said. It echoes the Soviet days and in 1982, when a Russian submarine was photographed by the Royal New Zealand Air Force east of New Zealand. The air force still has submarine-hunting capacity in the form of its six P3 Orions, but it seldom practises finding them now. In 1972, the navy was ordered to sea as intelligence suggested a Soviet submarine was near New Zealand. Several ships and the air force were well out to sea when they heard, on what was then the NZBC, that a Soviet hydrographic submarine had docked in Suva that morning. Just before Christmas in 1982, the diesel-powered Soviet Foxtrot submarine Regul was spotted on the surface near Tahiti sailing with a research vessel. It continued towards the South Island and was last seen near the Chatham Islands. The Soviets said they were doing oceanographic work. Three years later, there were headlines and claims that the French submarine Rubis was in the Waitemata Harbour, supporting the agents bombing the Rainbow Warrior. It was never proved. German and Japanese submarines operated near New Zealand during World War II. U862 captain Heinrich Timm claimed later that while they were off Hawke’s Bay, crew landed to get fresh milk from the dairy herd they saw. In the 1870s, New Zealand built 17 harbour forts around the country, fearing that Tsarist Russia, in the wake of the Crimean War, might invade. It was never clear why it wanted Auckland. This entry was posted in The world's submarines and tagged Borei Class, Itar-Tass, New Zealand, P3 Orion, Regul, Russia, Submarine, Tahiti on June 26, 2013 by jasonlockley. A new Russian nuclear submarine, the Yuri Dolgoruky, drives in the water area of the Sevmash factory in the northern city of Arkhangelsk on July 2, 2009. 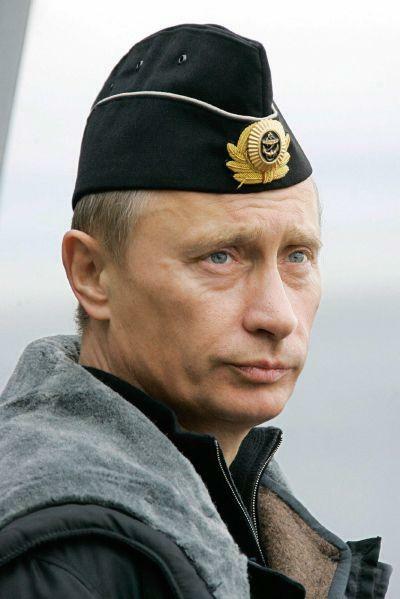 Russian President Vladimir Putin watches a military exercises in the Barents Sea aboard of “Pyotr Veliky” heavy nuclear missile cruiser, 17 August 2005. MOSCOW — Russia plans to resume nuclear submarine patrols in the southern seas after a hiatus of more than 20 years following the break-up of the Soviet Union, Itar-Tass news agency reported on Saturday, in another example of efforts to revive Moscow’s military. The plan to send Borei-class submarines, designed to carry 16 long-range nuclear missiles, to the southern hemisphere follows President Vladimir Putin’s decision in March to deploy a naval unit in the Mediterranean Sea on a permanent basis starting this year. “The revival of nuclear submarine patrols will allow us to fulfill the tasks of strategic deterrence not only across the North Pole but also the South Pole,” state-run Itar-Tass cited an unnamed official in the military General Staff as saying. The official said the patrols would be phased in over several years. The Yuri Dolgoruky, the first of eight Borei-class submarines that Russia hopes to launch by 2020, entered service this year. Putin has stressed the importance of a strong and agile military since returning to the presidency last May. In 13 years in power, he has often cited external threats when talking of the need for a reliable armed forces and Russian political unity. Fears of a nuclear confrontation between Russia and the United States has eased in recent years, and the Cold War-era foes signed a landmark treaty in 2010 setting lower limits on the size of their long-range nuclear arsenals. But the limited numbers of warheads and delivery vehicles such as submarines that they committed to under the New START treaty are still enough to devastate the world. Putin has made clear Russia will continue to upgrade its arsenal. Russia’s land-launched Intercontinental Ballistic Missiles (ICBMs) would fly over the northern part of the globe, as would those fired from submarines in the northern hemisphere. Both the Borei-class submarines and the Bulava ballistic missiles they carry were designed in the 1990s, when the science and defense industries were severely underfunded. Russia sees the Bulava as the backbone of its future nuclear deterrence, but the program has been set back by several botched launches over the past few years. This entry was posted in The world's submarines and tagged Borei Class, Russia, Submarine, Vladimir Putin, Yuri Dolgoruky on June 3, 2013 by jasonlockley. 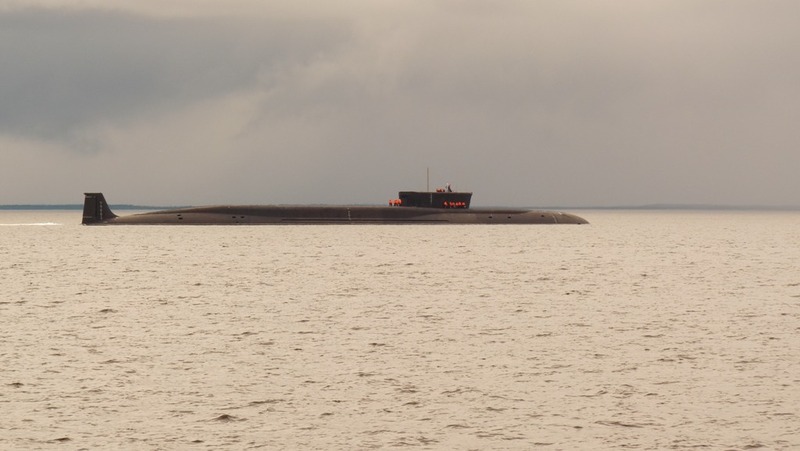 According to a source in the Military-Industrial Commission, quoted by RIA Novosti, Project 955A submarines will carry 16 Bulava SLBMs, not 20, as most reports previously stated. Construction of the lead submarine of the Project 955A class and the 4th in the Borei class , Knyaz Vladimir, was formally started in July 2012 (although substantial amount of work on the hull had been already done by then). Unlike the three Project 955 submarines, Knyaz Vladimir does not use components of previously build ships. This entry was posted in The world's submarines and tagged Borei Class, Bulava, Knyaz Vladimir, Russia, SLBM on February 22, 2013 by jasonlockley. Borei class nuclear submarine Vladimir Monomah at the “Sevmash” shipyard before its launch in Severodvinsk. Super-modern, powerful and almost noiseless Russian nuclear submarine Vladimir Monomakh has been put in water to become the third ship of the Borei project. The cruiser is about to begin sea trials and mooring to become fully operational in 2013. Vladimir Monomakh was laid down at Russia’s largest shipbuilding complex Sevmash, located on the shores of the White Sea in the town of Severodvinsk in northern Russia on March 19, 2006 – the 100th anniversary of the Russian submarine fleet. It belongs to a class of missile strategic submarine cruisers with a new generation of nuclear reactor, which allows the submarine to dive to a depth of 480 meters. It can spend up to three months in autonomous navigation and, thanks to the latest achievements in the reduction of noise, it is almost silent compared to previous generations of submarines. The submarine is armed with the new missile system, which has from 16 to 20 solid-fuel intercontinental ballistic missiles Bulava (SS-NX-30 by NATO classification). The rocket is able to overcome any prospective missile defense system. On August 27, 2011, the Russian Defense Ministry reported on a successful test of Bulava to investigate its maximum range. The missile was launched from the White Sea, flew 9,300km in just 33 minutes, and then fell in the specified area in the Pacific Ocean. All Borei class submarines are equipped with a floating rescue chamber designed to fit in the whole crew. 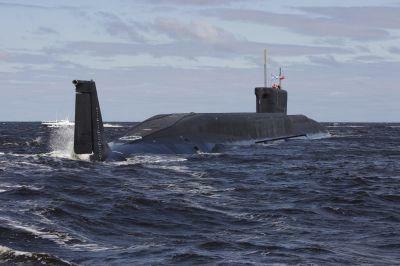 Nuclear submarine (NS) “Yuri Dolgoruky” undergoing sea trials. The first and head submarine of Borei class, Yury Dolgoruky, has already completed the test program and is to be officially adopted by the Russian Navy on Sunday. Construction of the missile carrier is approximately estimated at around US$770 million, while other Borei class submarines are believed to cost less. “The hoisting of the flag and the signing of the acceptance act is to be adopted at the Sevmash shipyard in Severodvinsk on Sunday, December 30,” the Rubin design bureau that designed the submarine said in a statement on Saturday. Another missile cruiser of this project, the Aleksandr Nevsky, is undergoing tests, according to Borisov. While a fourth, more advanced submarine, the Knyaz Vladimir, with enhanced technical characteristics and increased ammunition is currently being built. Over the next eight years Russia plans to have built 10 Borei class submarines altogether, according to the state armaments program of 2011-2020. All Borei class submarines are believed to provide a basis of naval strategic nuclear forces of Russia in the coming decades. This entry was posted in The world's submarines and tagged Borei Class, Russia, Vladimir Monomah on December 31, 2012 by jasonlockley.